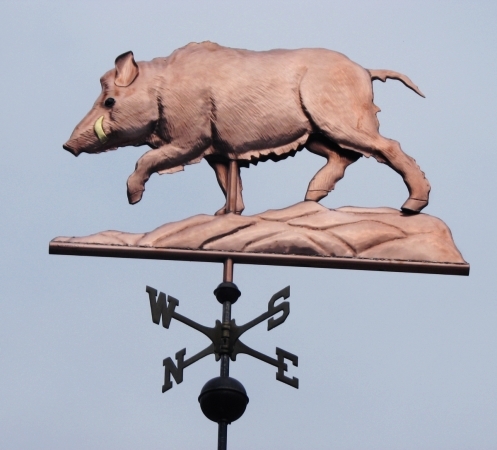 Our Charging Boar Weathervane was originally designed for a South Carolina restaurant specializing in wild cuisine, particularly game animals. 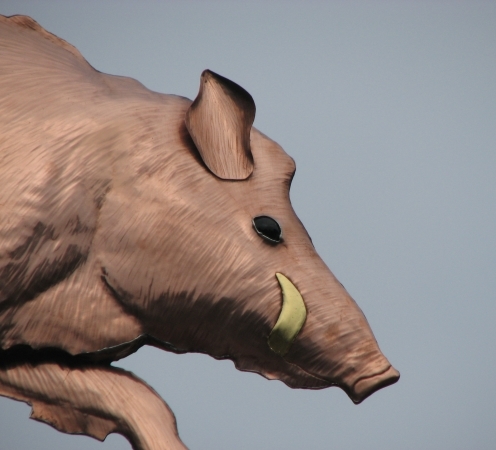 It is the focal point on a turret of the two story building in which the restaurant is housed. 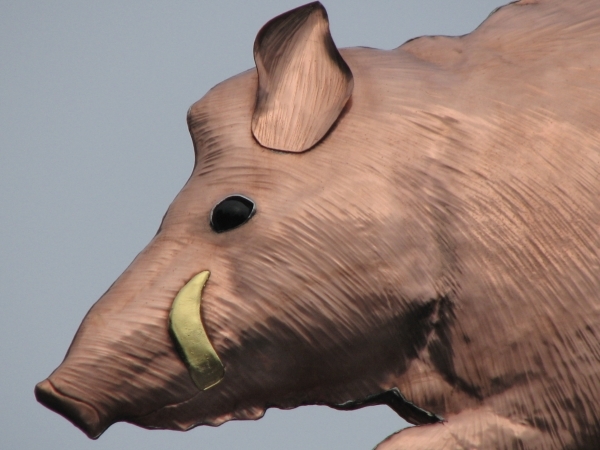 They ordered it in the large size, and selected dark black glass eyes and optional gold leafing on the tusks, to assure the recognition of the destination by approaching vehicles. 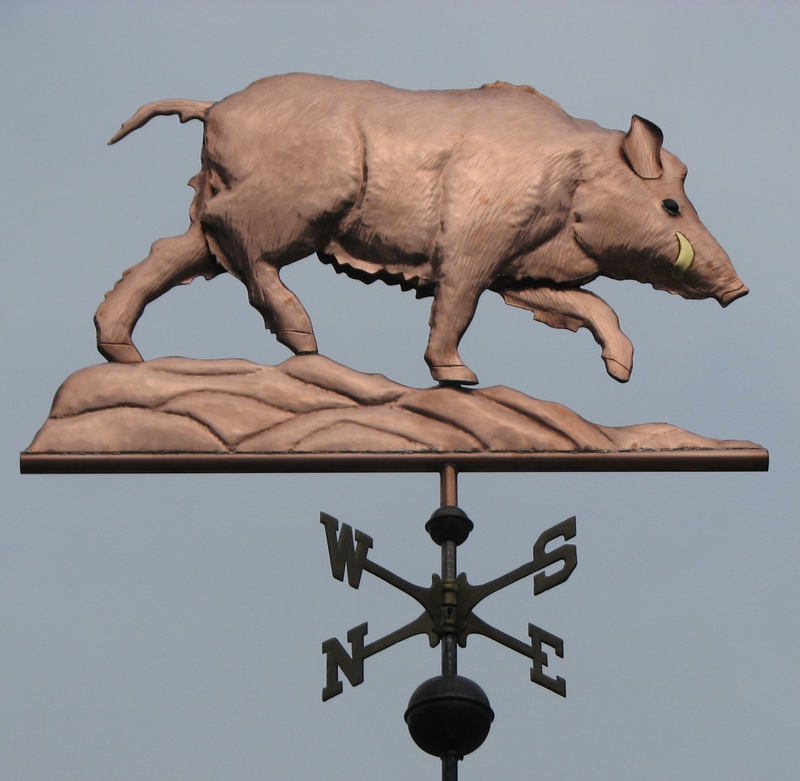 Employing a weather vane as business signage is in keeping with much of the historic use of weather vanes. After first they were used solely by the aristocracy to show their coats of arms, weather vanes next came into use by trades people to assure discovery of their place of business by the many illiterate in a time when only select segments of society were allowed to learn to read.